Mount Fuji is arguably one of the most iconic landmarks of Japan. So much so that the government has been actively trying to get it listed on the UN World Heritage list. Here are some of the places from where I have personally seen Mr Fuji (the recurring joke of Fuji-san, where san means 山 but さん also commonly used as a polite suffix to the effect of “Mr/Mrs/Ms”). Where better to see a mountain than from the top of another mountain. And for the less adventurous, there is always the option of a chair lift or cable car to bring you 2/3 of the way up. Mt Fuji would be relatively far away and you would have to hope that the clouds are friendly on that day. 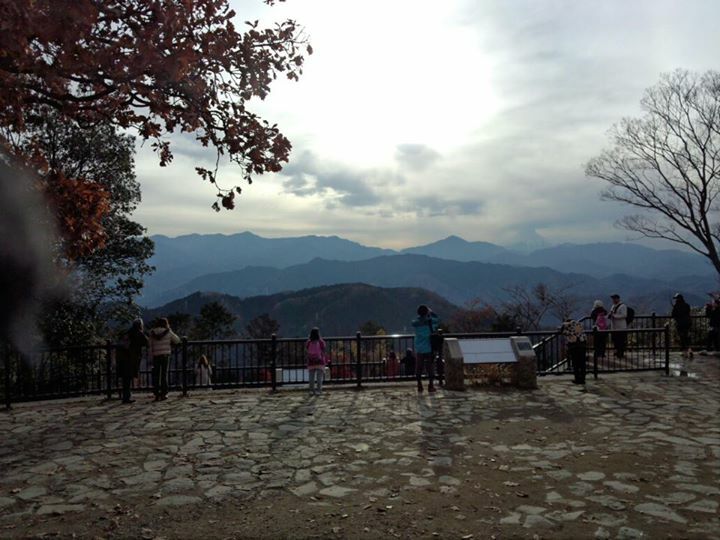 On the plus side, there are many other nice views on the way up to the peak of Takao, such as the panoramic view of the city of Hachioji. You could even spot the Sky Tree on the horizon if you are lucky. 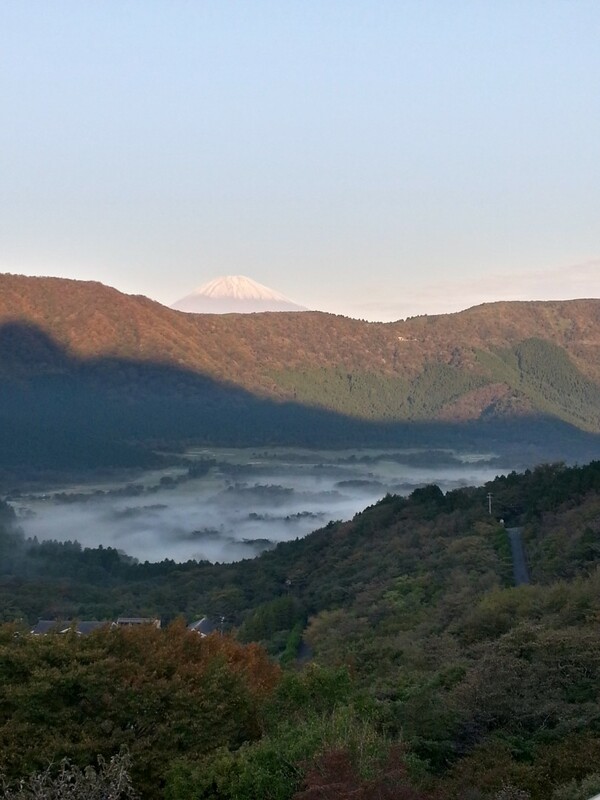 Apart from the hot springs and ryokans, you could see Mt Fuji from various locations such as on top of some hills and during a river cruise. Check this post for more information.